I’ve made this rattle for a little contest we had in my wheel-throwing class, which theme was “baby’s best ceramic gift”, at the occasion of the royal baby birth. The requirement was that it was a wheel-thrown baby themed object. I decided to make some rattles for the parents to play with the newborn. It was a nice puzzle to figure out how to make these, specially the glazing. 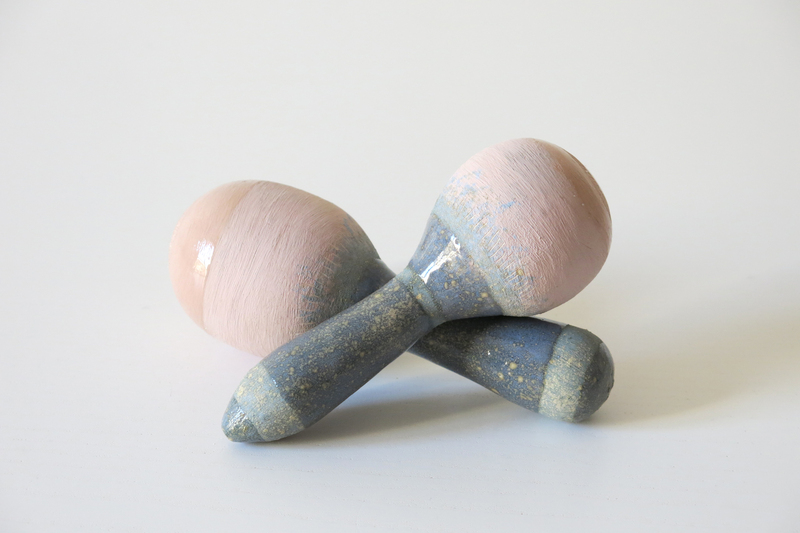 They are fully wheel-thrown in two pieces each, and filled with ceramic pearls for the rattle sound. Wheel-thrown earthenware pieces, decorated with colored slip and covered with transparent glaze.